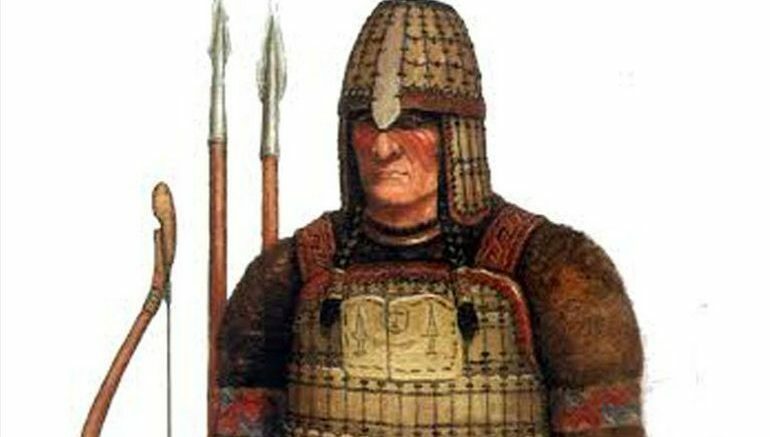 A few days ago we talked about spectacular warrior armor panoplies that were historically used throughout the ages by the military elites of the society. And while we covered many of the familiar factions, history still has its fair share of surprises, especially when it comes to the fringe cultures of our world. 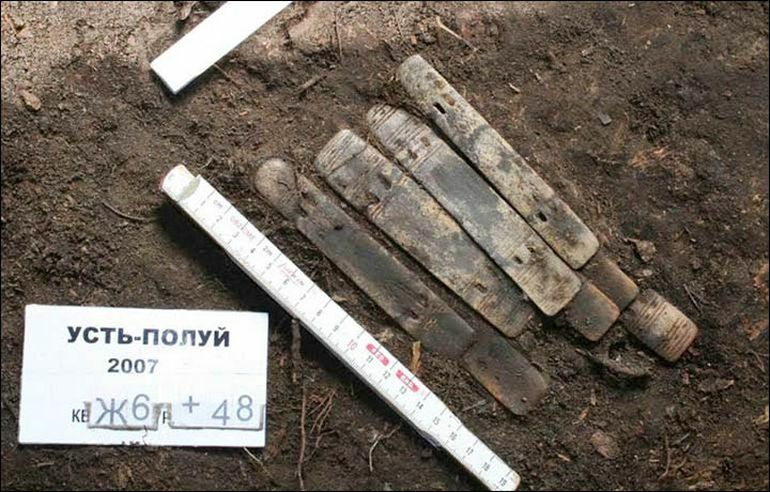 Pertaining to one such example, this year archaeologists discovered remnant plates of a ceremonial warrior armor from western Siberia that were crafted from reindeer antlers. Dated from some time between 1st century BC to 1st century AD, the panoply (with its decorations) is the oldest evidence of armor found in the region, and was probably made by members of an ancient bear cult. And while this ambit of discovery might sound like a movie script, proper archaeological excavations (conducted by experts at the Scientific Research Center of the Arctic in Salekhard) had earlier suggested that the site in question, known as Ust-Polui, was frequented by an ancient bear cult of the historical polar people. To that end, the researchers have already theorized that the aforementioned reindeer armor was probably left as a sacrificial offering to the gods by such cult members. 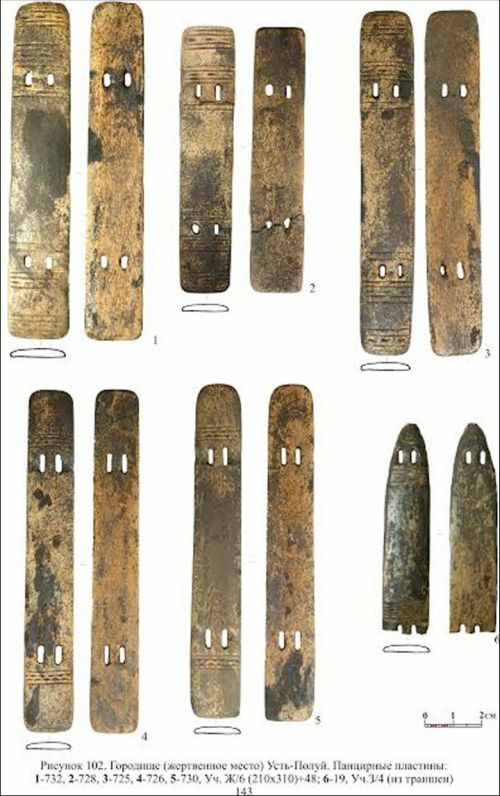 As for the physical attributes of the warrior armor itself, archaeologists found around 30 antler-made plates from the Ust-Polui site. Most of them are not uniform in their size, owing to the nature of preservation and their actual locations by the mounting holes. 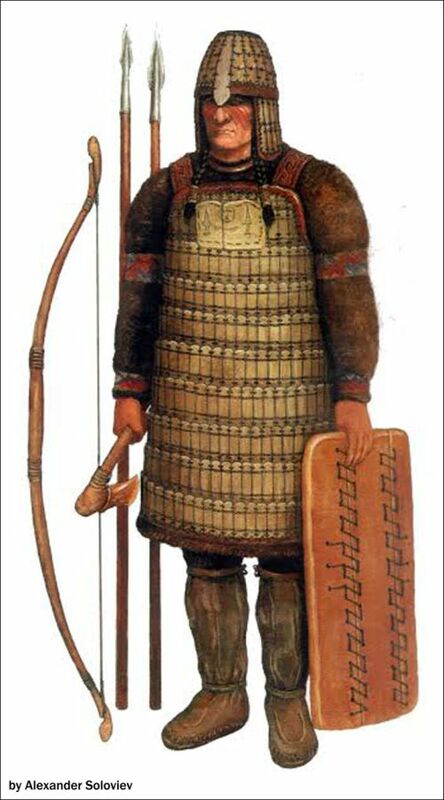 For example, the largest plates are around 23-25 centimeters in length, and they were arranged atop a leather base, much like lamellar armor seen in Central Asian cultures (including Mongols). On the other hand, the smaller 12-14 centimeter pieces tended to be thinner as well as richly ornamented. The ornamentation on the plates can be individual, that is after the through analysis we could say how many warriors left armor here, judging by the style of decorations. 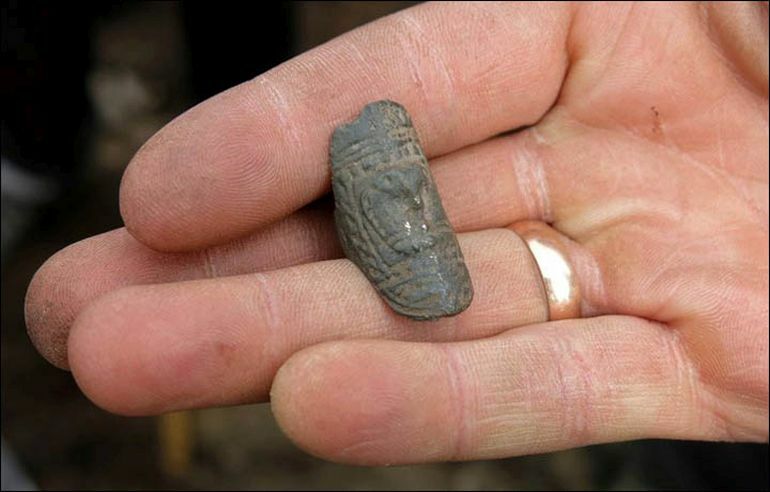 In the taiga zone of Western Siberia, finds of real iron helmets were extremely rare. But in the middle of the first millennium AD, bronze images appeared of people wearing headdresses clearly resembling helmets. A likely explanation may be a long tradition of making antler helmets. The ring is tiny in diameter so even a young girl, let alone a woman, cannot wear it. 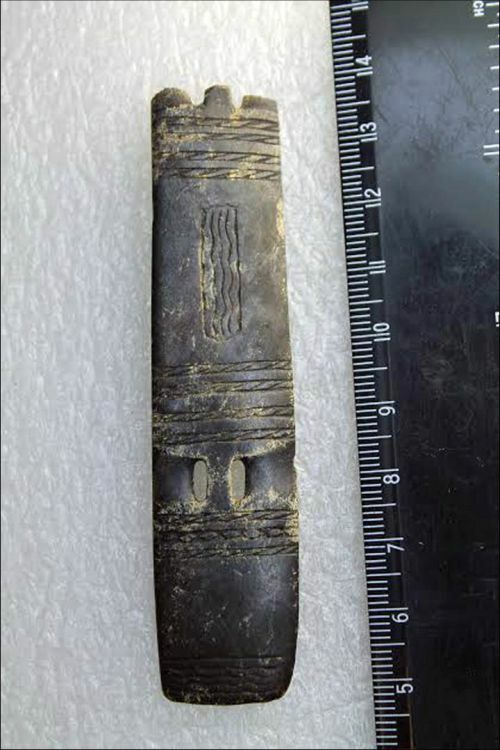 We concluded that it was used in a ritual connected with a bear cult and was put on the bear claw. After killing the bear they had a bear festival to honor the animal’s memory. The head and front paws a bear was adorned with a handkerchief, rings, and a few days lying in the house. This combination of images on the ring and the fact that it was found in the sanctuary of Ust-Polui led us to believe that there was also practiced a bear cult.